Roger Peluso, age 87, of Sylvania, Ohio passed away, Monday, January 7, 2019 in Tucson, AZ. Born in Englewood, NJ the son of Joseph and Irene (Eagan) Peluso. In September of 1949 he enrolled at the University of Toledo, having received a football scholarship, playing various positions for varsity from 1949-1953. He is best remembered as the fabulous Right Guard. Upon graduation in 1953, Roger taught History and coached football at Anthony Wayne High School. In 1955 he joined Savage and Associates Financial Services where he retired in 2016. 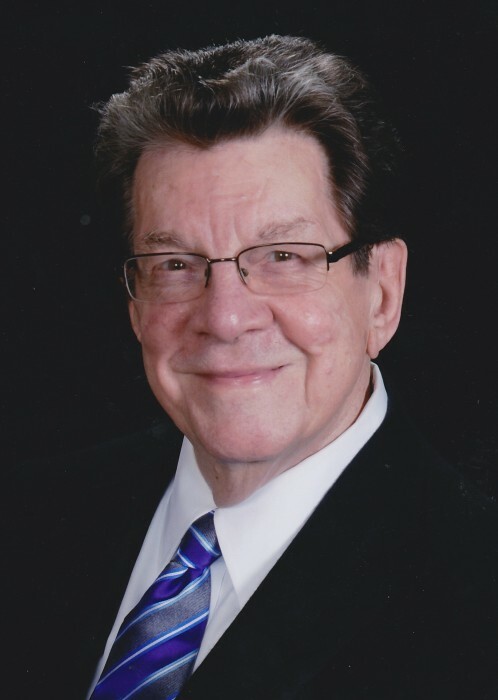 He was active in professional organizations both local and National he was with the Toledo Association of Life Underwriters, (TALU), member since he started in the business. Life member of the Million Dollar Roundtable (MDRT), National Association of Insurance and Financial Advisors (NAIFA), was a former President of the Kidney Foundation of Northwest Ohio (1966), and he was the first Toledo Rocket Athlete to be President of the Downtown Coaches (1962-1963), he also served as a member of the Toledo Opera Board. With a large laugh, great sense of humor he had many stores to tell as the family gathered for a great meal. He referred to these times as “The Good Life”. His hobby was collecting wines from many great vineyards in California and Europe, enjoying them with family and friends. Roger leaves behind a legacy of love, loyalty, service to others, charity to the less fortunate, a strong work ethic and an unbelievable inner strength. He is survived by his loving family, wife, of 66 years, Lillian (Spinazze) Peluso, children, Dino I. Peluso, Christine (Kip) Johnson, Roger J.E. Peluso, son-in-law, Kevin Nolan, grandchildren Dino Peluso, II, Maria (Kevin) Wehrle, Gina Peluso Able, Rachele Peluso, Claire Nolan, Peter Nolan, Janey Johnson and Michael Peluso, great-grandchildren, Elaina and Ellison Wehrle, and Mason and Hunter Able. He is also survived by many extended family members and friends. He was preceded in death by his daughter, Annette Nolan, brothers-in-law, Paul and Larry Spinazze. A Memorial Mass will be held at St. Joseph Catholic Church, Sylvania, Ohio on Saturday, February 2, 2019 at 10:00 A.M. The family suggests contributions to Family House and the Cancer Society of Ohio.